The Top 6 artists performed two songs on Monday night. In honor of Mother’s Day, they dedicated their second performances to their moms. 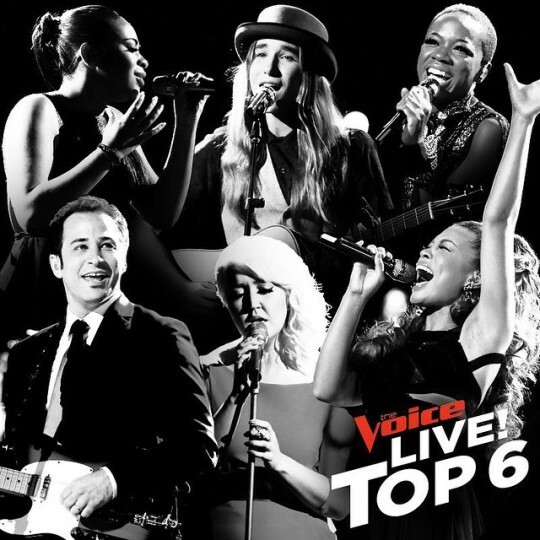 Last week’s results show left Team Adam with Joshua Davis; Team Christina with Kimberly Nichole and India Carney; Team Pharrell with Sawyer Fredericks and Koryn Hawthorne; and repeating last season, Team Blake with only one contestant – Joshua Davis. The Twitter “Instant Save” vote was won by India. India’s mom said the song stands for over-coming the injustices and she is honored that India is dedicating the song to her. Watch India Carney sing “Glory” video here! Coaches Comments: Pharrell congratulated her on “another comeback” and thinks she should collaborate with Baby Face. Adam was proud of her. Blake didn’t know the song (what a surprise!) and couldn’t tell that there was any rapping on that record. Coach Christina called her performance “remarkable”. India won the “Instant Save” vote last week by two votes. Christina said the time to discover a singer on “The Voice” is now, and if India let’s go, she’ll embody the super-star that she is. 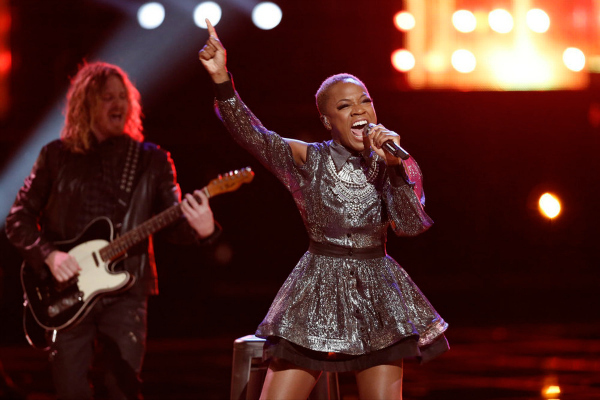 Watch India Carney sing “Lay Me Down” video here! Coaches Comments: Christina gave her a standing ovation. Adam called it India’s best performance and impressed that she did something different and it worked out. Coach Christina told her that she “killed it” and stepped out of her comfort zone to show a different side of her, and labeled her as a front-runner. Kimberly selected the song because her mom moved to Seattle and was free in pursuing her dreams. 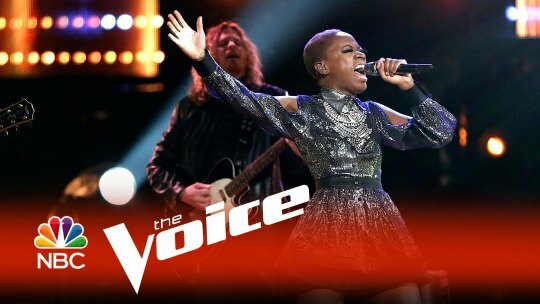 Coach Christina: Adam said Kimberly can sing anything in an “amazing way.” Coach Christina said Kimberly sang the song like it is – free and joyful. 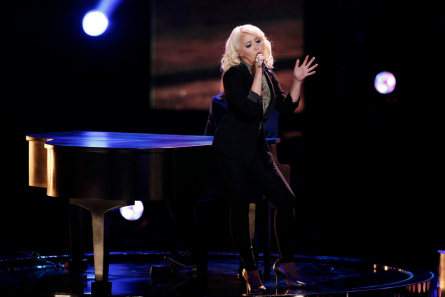 Christina said the song is hard to sing from her own experience, and was the most excited about seeing this performance. Coaches Comments: Pharrell called it her first rock-n-roll moment. Christina said it was electrifying and took the audience to another planet. Watch Joshua sing “Desire” video here! Coaches Comments: Pharrell called it “an even better best performance” for Joshua. Coach Adam was most impressed that Joshua wasn’t thinking about his performance. His wife was there in place of his mom. Joshua dedicated the song to his Mom and wife and kids. Coaches Comments: Blake said Adam was right about the song meaning something to everyone and admired Joshua’s confidence. Adam was upset by the off-beat clapping by the audience during the song and called Joshua’s performance flawless. 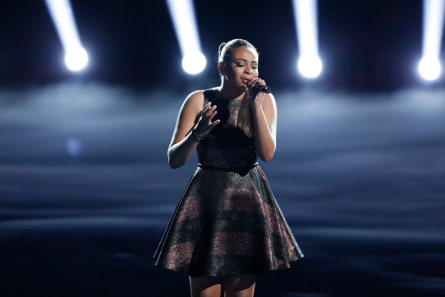 Koryn Hawthorne sang “Everybody Hurts” by R.E.M. Koryn’s mom was happy to be present with Koryn’s ‘Voice journey. Koryn said her mom sacrificed so much and dedicated the song for everything she’s been through. Watch Koryn sing “Everybody Hurts” video here! 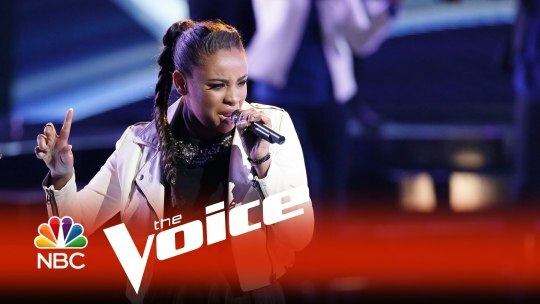 Koryn is living her dream on “The Voice” and dedicated “Dream On” performance to her little brother to follow his dreams. Watch Koryn sing “Dream On” video here! Sawyer’s mom said the song represents when their family went through a dark period in their lives when they moved to a farm. Watch Sawyer sing “Shine On” video here! Coaches Comments: Adam called Sawyer a “special kid” and labeled it his favorite performance of the night. Blake said it’s hard to put into words what Sawyer does – simple & powerful. 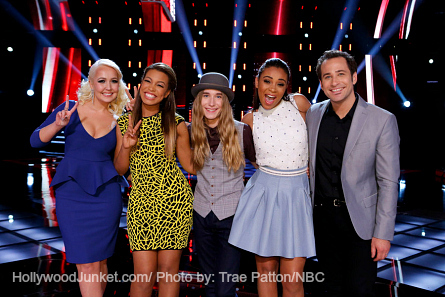 Coach Pharrell reacted by stating no one can deny the power that Sawyer has on stage. 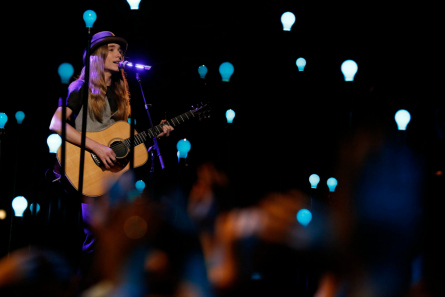 Pharrell hopes that Sawyer will continue to ascend. Coaches Comments: Blake said he sang so amazing and that’s ALL he needs to do while dancers jump around him and do back-flips! Coach Pharrell said he worked the stage and glad that he did that version of the song. Meghan is Blake’s last remaining artists. In honor of their adviser Cee Lo Green last week, Meghan and Blake wore Cee Lo’s favorite team colors of red and black. Watch Meghan sing “Steamroller Blues” video here! Coaches Comments: Christina said it was “crazy great” because she laid her heart and soul out there. Pharrell loved and enjoyed it. He was intrigued and proved that perseverance works! Coach Blake was really excited and said Meghan sang “the crap out of it” and compared her performance to the crushing of a ketchup package! Meghan dedicated the song to her mom who grew up in Kentucky with nothing and on a dirt floor. She went to nursing school and has always been a fighter said Meghan. It was Blake’s idea for Meghan to do the first verse in a cappella. Watch Meghan sing “Amazing Grace” video here! 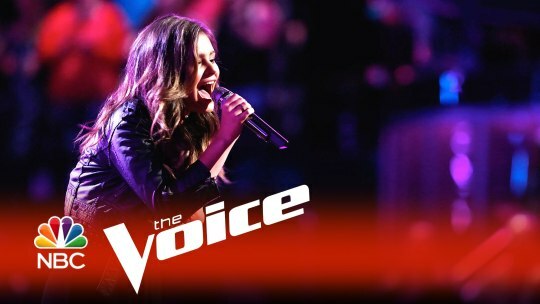 Former Team Christina finalist Jacquie Lee returned to “The Voice” stage to sing her latest single “Tears Fall” written by Sia. Jacquie was on tour with Sean Mendes, and is a Senior in high school. 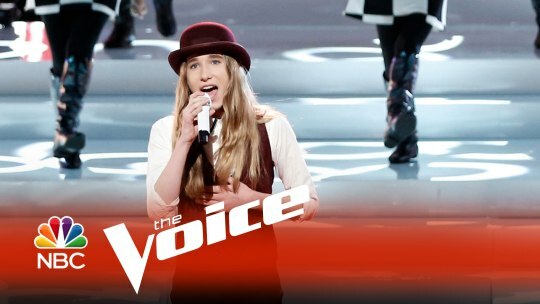 Then the first artist to be safe was announced by host Carson Daly as Sawyer Fredericks (Team Pharrell). 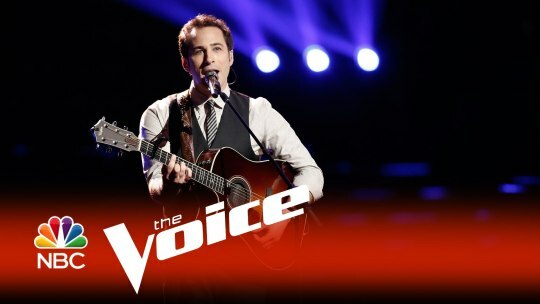 Clive Davis was there to present Avery Wilson who was a contestant on season 3 of “The Voice”. Clive said he represents Avery because he has star power and an amazing voice. 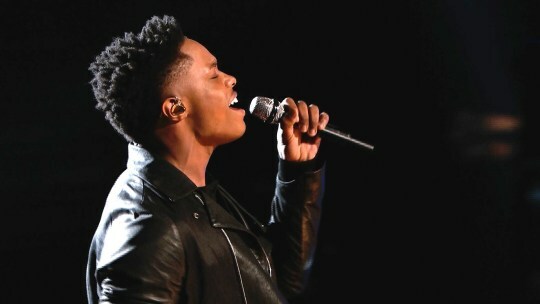 Avery sang his first single “If I Have To.” Avery said it’s cool to be part of Clive Davis’ world who’s represented such artists as Whitney Houston. 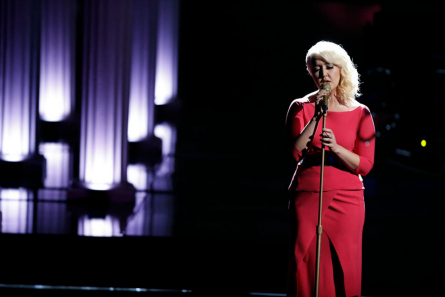 The second artist announced as saved was Meghan Linsey (Team Blake). 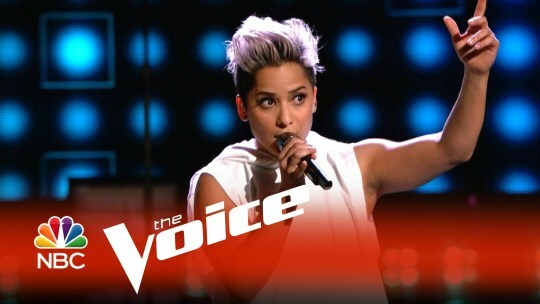 Vicci Martinez, a former member of Team Cee Lo returned to sing “Bad News Breaker” song. She self-released her album “I Am Vicci Martinez” on iTunes. 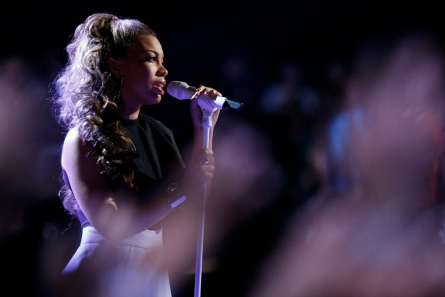 The next artist revealed as saved was Koryn Hawthorne (Team Pharrell). All of Team Pharrell is now saved! 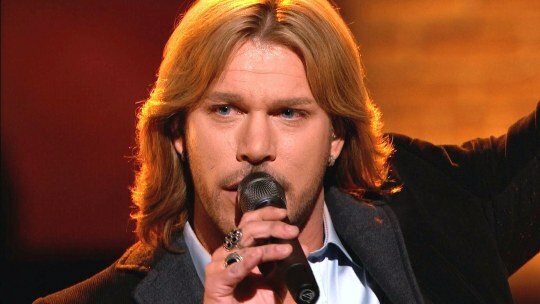 The winner of last season from Team Blake, Craig Wayne Boyd performed “I’m Still Here” on The Voice stage. 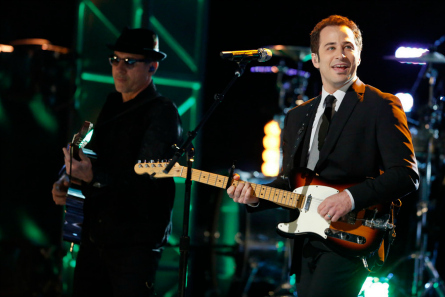 His single debuted at number one, tied with Garth Brooks and a song that he wrote during his time on “The Voice”. The remaining three contestants India Carney, Kimberly Nichole, and Joshua Davis stood together on stage to find out who the next person was to be moving-on. It was Joshua Davis (Team Adam). Adam said India has turned into a skillful singer and should be happy “regardless of what goes down.” Christina said India has gained her respect for her passion and fire. Pharrell told Kimberly that she has a beautiful voice and that Jack White would love her rendition of his song. 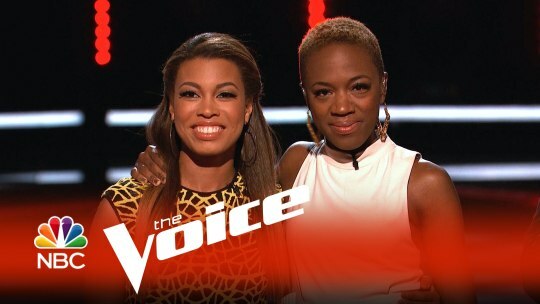 Christina told Kimberly that every week, she’s electrified the audience and it’s been fun watching her. After the commercial break, it was revealed that the voting was exactly 50-50. Kimberly thanked Christina for saving her in the Battle Round. 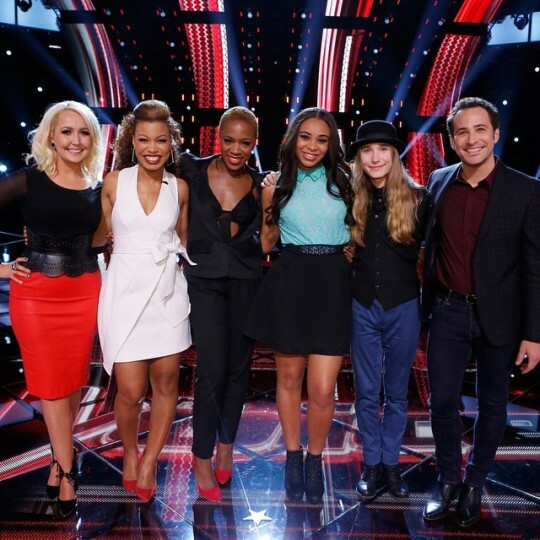 Pictured (l-r): Meghan Linsey (Team Blake), India Carney (Team Christina), Sawyer, Koryn Hawthorne (Team Pharrell), Joshua Davis (Team Adam).